In today’s eCommerce landscape, one of the shiniest golden rules is to avoid stagnancy. A static site leads to static sales. Do you need to redesign your site every six months, or constantly add bells and whistles? No. But you should regularly implement simple tactics to keep your customers engaged and stimulated. One tried and true way to do this is through promotional landing pages. 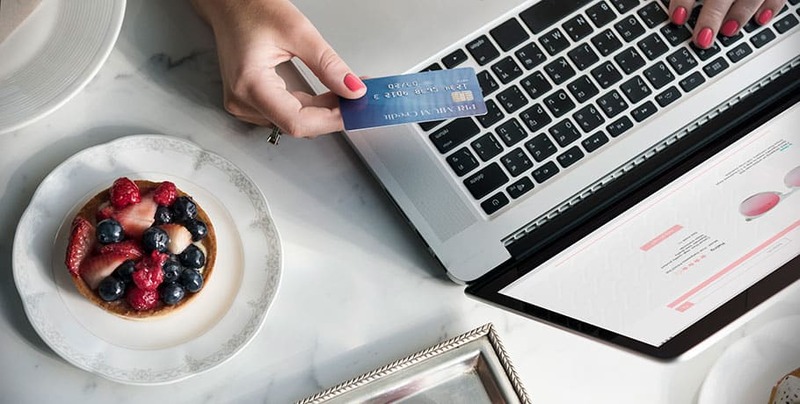 Whether you’re offering a special, changing stock for the season or hosting some kind of contest…these pages can be relatively simple to ideate and implement. And they give customers a reason to keep visiting you. One of our valued partners here at Pineapple Development, Strauss Direct, does an excellent job of maintaining a dynamic marketing calendar. Often times their promotional efforts feature a landing page on their site to keep things fresh and entice their customers to continue engaging. Earlier this year, Strauss announced an official partnership with CrossFit. The company’s sustainably and naturally sourced meat subscription service now includes an exclusive CrossFit subscription box tailored specifically to the needs of CrossFit athletes. One of the ways they began promoting the new subscription option was through a physical presence at the recent CrossFit Central Regional competition in Nashville, TN. 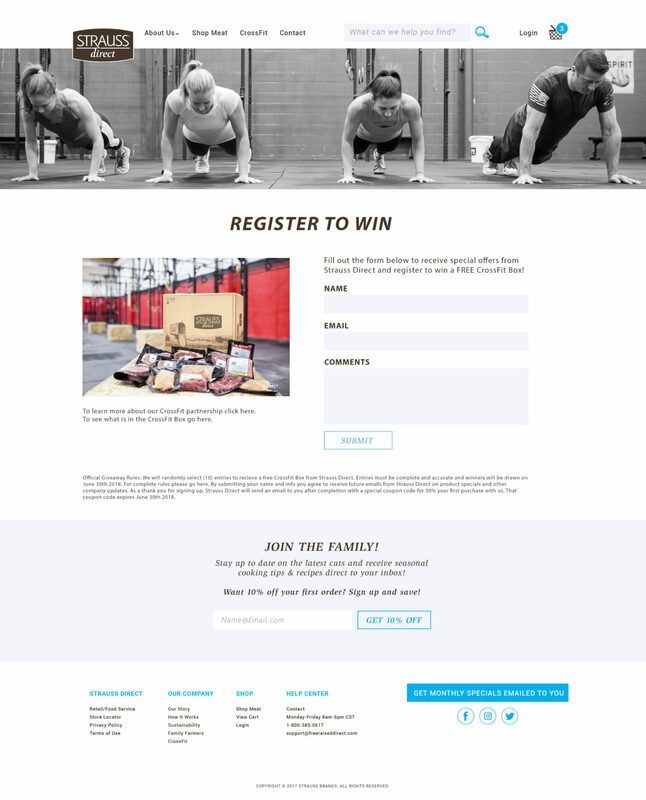 To tie the in-person activation back to their eCommerce site (the hub), the Pineapple Development team developed and launched a promotional contest landing page for StraussDirect.com. At Pineapple Development we regularly implement promotional landing pages for our partners and stand behind the success of their simple nature. If you already have a design, a landing page can typically be developed in 2-4 business days. Generally a budget ranging from $500 to $1,000 will get the job done. Unless perhaps it requires complex functionality. If you require design services in addition to development, your web partner will need a little more lead time (5 to 10 business days). And of course design being it’s own animal, you’d also need to source a custom estimate based on your vision for the page. Promotional landing pages not only drive traffic to your website, but they provide you with valuable conversion boosting fuel through their action-oriented nature. Typically with a landing page you’re either giving the customer added incentive to buy NOW, or collecting information from them that will bring them into the fold for targeted future sales efforts. As you can see here, the ideas can be simple, don’t take long to bring to life and won’t break the bank. It may seem like an old trick, but such is life, some things remain timeless. Promotional landing pages have our stamp of approval for best practices in eCommerce strategy.